Regenero Oy has signed a lease on a lunch and dinner restaurant with Soupster Family. 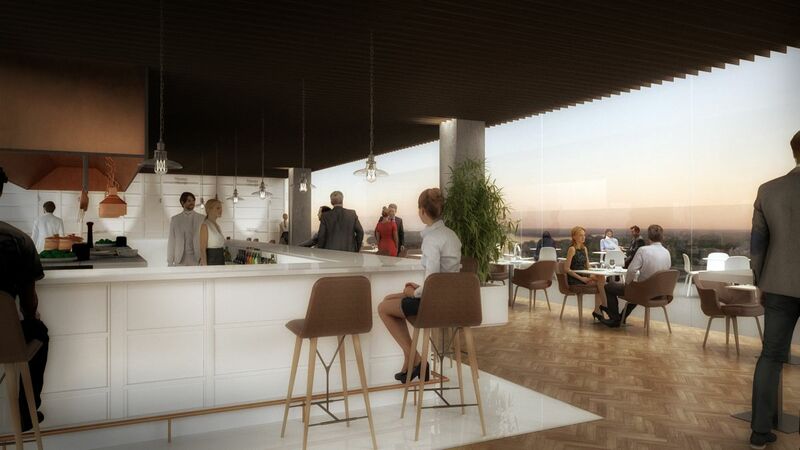 The planned location of the panorama restaurant is in Keilaniemi, Espoo, on top of the so-called Raaden hammas building. The restaurant will also boast a partially covered outdoor patio with spectacular views. A planning application concerning the restaurant project will be submitted during Autumn 2018. “The restaurant in the works will offer high-quality food and drinks with a casual dining idea. The concept is to create a destination restaurant that will attract both business customers from Espoo as well as food lovers from all over the Helsinki metropolitan area,” says Kim Heiniö, CEO of Soupster Family. Regenero’s objective is to develop and revitalize the Keilaniemenranta area. A lease was signed already in April 2018 with Soupster Family on a Dylan lunch restaurant. Its operations started in the Keilalampi building this August. In spring 2020, the operations of the lunch restaurant will be expanded to the Raaden hammas building that is currently under renovation. “The future restaurants will increase the number of services available for the companies operating in the area as well as residents of the residential properties,” says Juha Kostiainen, Senior Vice President, Sustainable Urban Development at YIT and the Chairperson of Regenero’s Board. The area is planned in close cooperation with the City of Espoo. The local plan process of the Keilaniemenranta area is ongoing, and the planned scenic restaurant supports the planning objectives. “Together with the City of Espoo, we share the same objectives regarding the development of the entire Keilaniemenranta area. The top floor of Raaden hammas is a spectacular spot for a restaurant that will be open to public and not just for the businesses working in the facilities,” says Kari Helin, member of Regenero’s Board.